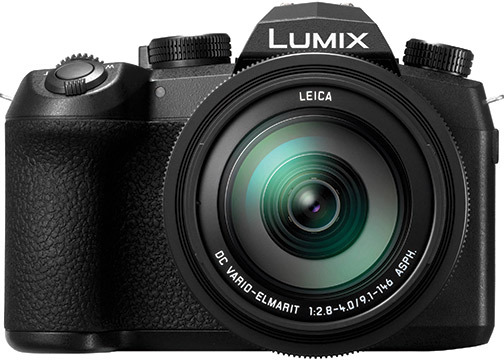 Las Vegas, NV—Panasonic’s new hybrid bridge camera, the Lumix FZ1000 II, boasts a 1-inch High Sensitivity MOS sensor capable of 4K photo and 4K video recording. 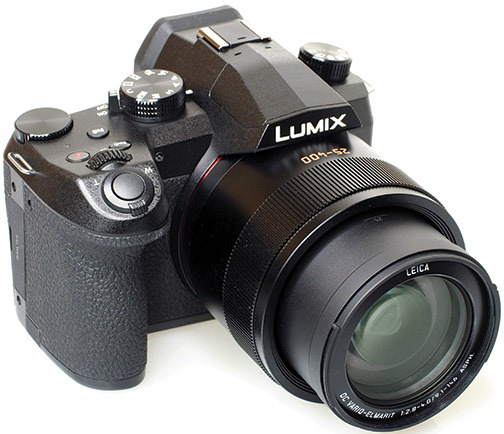 Part of the company’s high-zoom FZ series, the point-and-shoot camera utilizes an integrated 16x optical zoom lens. The 25–400mm-equivalent f/2.8–4.0 Leica DC Vario-Elmarit lens produces natural defocus together with the large-size sensor. In addition, its minimum aperture is extended to f/11. It employs four ED lenses and five aspherical lenses with eight aspherical surfaces, to enable smooth defocus with an invisible edge line. The optical design also minimizes chromatic aberration, especially at the tele-end. 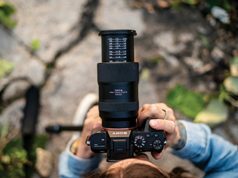 The FZ1000 II also provides a zoom compose assist function that helps regain the subject quickly when the sight of the subject is lost during telephoto shooting. Furthermore, the camera’s 1-inch, 20.1 megapixel High Sensitivity MOS sensor offers a high S/N ratio. This makes it possible to capture clear images with minimum noise even when shot at a high ISO OF 12,800. Settings are extendable to ISO 25,600. Also, its Venus engine features multiple noise-reduction systems, such as multi-process NR, a random filter and an aperture filter. As a result, the camera “achieves high color reproduction and high image quality with natural description,” Panasonic announced. L.Monochrome and L.Monochrome D modes were also added to photo style. They enable the capture of dynamic monochrome photos with emphasized highlights and shadows, while preserving the details. The new camera records 4K video in 3,840×2,160 at 30p or 24p in MP4. Taking advantage of 4K technology, photographers also can use 4K photo mode to capture moments at 30 fps and save the most photogenic out of the 4K burst file as 8MP photos. Three functions are integrated to make 4K photography easier: 4K burst shooting, 4K burst (start/stop) and 4K pre-burst. 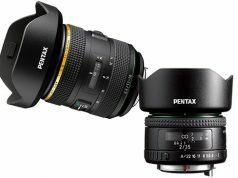 Also available to make using 4K photo easier are: auto marking; sequence composition, which makes a stromotion image by synthesizing multiple images shot at a fixed frame; and post focus as well as focus stacking, to adjust an image’s focus after capture. Also available for a greater variety of video expression are: creative video mode, high-speed Full HD video recording at 120 fps; time lapse shot; and stop motion animation. The new P&S also combines DFD (Depth from Defocus) and Light Speed autofocus (AF) technologies, with a speed of 0.09 sec. The camera additionally offers a short release time lag and quick start-up time. In addition, high-speed bursts are shot at 12 fps (AFS, JPEG/RAW). And it complies with a max.1/4,000 (mechanical) and 1/16,000 (electronic) high shutter speed. In addition, Panasonic integrated 5-axis hybrid OIS (optical image stabilizer)+ with active mode to compensate for hand shake. Furthermore, the FZ1000 II incorporates a new high-precision, high-speed OLED (Organic Light-Emitting Diode) live viewfinder. With 0.39-inch, 2.36M-dot resolution in the 4:3 aspect, the LVF boasts 0.74x (equivalent) magnification and 100% field of view. A new 3-inch, 1.24M-dot free-angle rear monitor complements the LVF. The monitor offers touch control as well as rotates 180° to the side and tilts 270° up and down. Photographers can focus on a subject by touching the screen and releasing the shutter. They can also enlarge the target point with their fingertips for precise focusing. 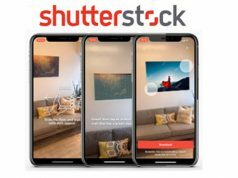 Other features include: creative control, creative panorama and photo style functions; Bluetooth 4.2 and Wi-Fi connectivity for instant image sharing; and a battery life of 440 pictures per charge. In addition, users can recharge the battery via AC or USB. 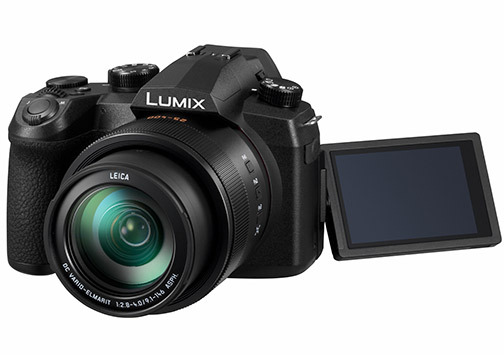 Panasonic’s Lumix FZ1000 II has a retail price of $899.99.